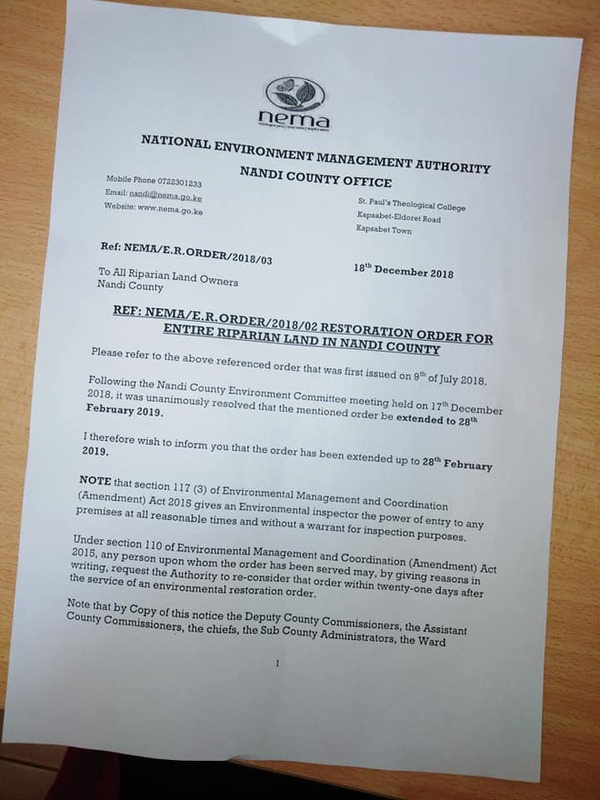 Extension of restoration order on the entire riparian land will make farmers put more effort in ensuring that they cut all eucalyptus trees along riverine areas. Speaking at Kapkoimur Primary,in Mosop Sub County, Governor Sang emphasized on the need to eradicate eucalyptus trees as they lead to loss of water in the catchment areas. “We have extended restoration order for entire riparian land in Nandi County to 28th February 2019 to allow the community plant indigenous trees as they get rid of eucalyptus”, he said.